Amir Hakimi, Rina Kim and Gianmarco Raddi have been named recipients of the 2015 Charles E. Young Humanitarian Award. 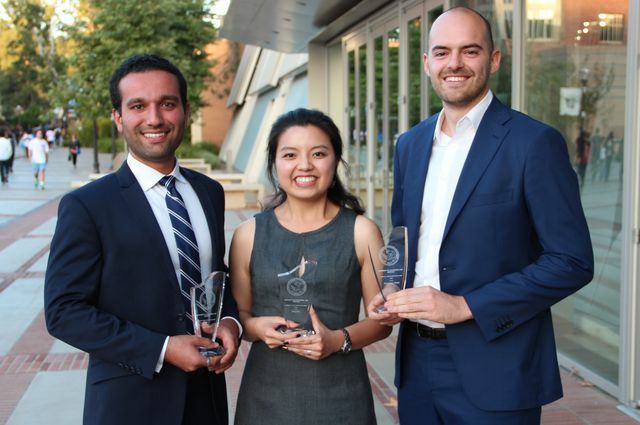 This year, UCLA students Amir Hakimi, Rina Kim and Gianmarco Raddi received a 2015 Charles E. Young Humanitarian Award for their commitment to community service at a ceremony held May 28 at the Pauley Pavilion Club. The award, established by UCLA in 1986 as an annual tribute to recognize students who lead projects that address communities' social needs, is one of the most prestigious honors given to UCLA students. Each recipient receives $1,000 to direct toward a community service project close to his or her heart. Raddi, who has also been involved with the Geffen school’s Student Run Homeless Clinic, the Social Entrepreneurship Initiative and the Venice Family Clinic, has coordinated medical services for more than 1,500 homeless and underserved people in Los Angeles and Santa Monica during his time with the Mobile Clinic Project. 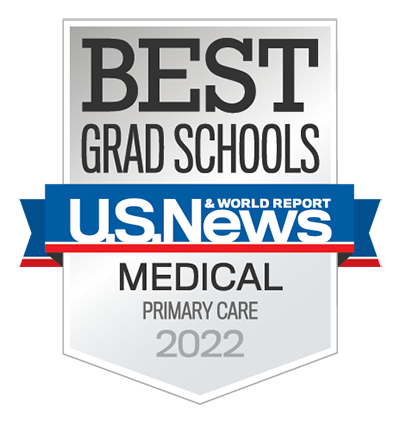 Additionally, he has expanded the clinic’s services with free flu and pneumococcus vaccines and enrollment in Medicare and other insurances — and increased collaboration among other UCLA groups that assist the homeless. Raddi also set up a referral system for guaranteed care at the Venice Family Clinic, the largest free clinic in the country, and helped lead a public fundraising Spark campaign, which has to date raised more than $7,500. Raddi said he will use his $1,000 award to buy socks, sweaters, blankets and medication for those in need, and to set up a micro-savings project to help patients save money and increase their financial literacy. Graduating senior Amir Hakimi cofounded Furnish the Homeless, an organization that picks up furniture that’s discarded by Westwood’s North Village residents at the end of each quarter and delivers items to formerly homeless people who are moving into transitional or permanent housing. Hakimi plans to use his award to employ these tenants to work alongside Furnish the Homeless volunteers. “With a newly furnished home, job skills and a source of income, our clients will have the tools they need to begin their route to success,” said Hakimi, who has also been involved in other projects — the UCLA Career Closet, Swipes for the Homeless and the Alumni Scholars Club, among others. Rina Kim, cofounded the Flying Samaritans at UCLA. The “Flying Sams” provide community development, medical care and preventative health education to the underserved population of Colonia Margarita Moran, a small community located near Tijuana, Mexico. Kim said that she will funnel her award into the organization’s programming and the creation of a community recreation center.